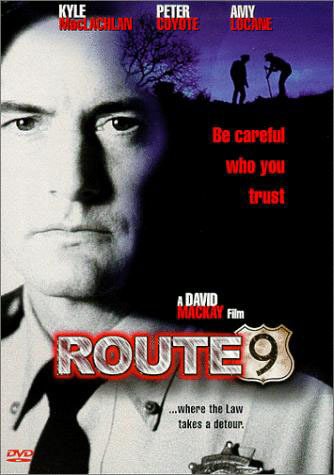 (1998) During a routine surveillance on the desolate Route 9, two small town deputies Booth Parker (MacLachlan) and Earl Whitney (Williams), pull into an abandoned farm, where they find several vehicles and the bloody bodies of several people, all killed after a disagreement during a drug deal. They find the drugs, but in the back of a car they also find a suitcase filled with over a million dollars, and there's not a witness in sight. 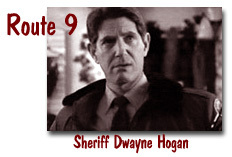 Booth is having an affair with the battered wife of Sheriff Hogan (Coyote), and the money will offer the couple a chance to flee together. Earl is having his own money problems. Unable to resist the temptation, the deputies take the money but soon find themselves at the center of a Federal drug investigation, spurred on by the sheriff. As their planned cover-up starts to unravel, panic and a growing suspicion of each other compel the partners to take increasingly reckless and desperate measures as they realize their time for escape is quickly running out. "Credible, sharply etched characters, unpredictable plot twists, evocative Southwestern location lensing and flavorable performances." 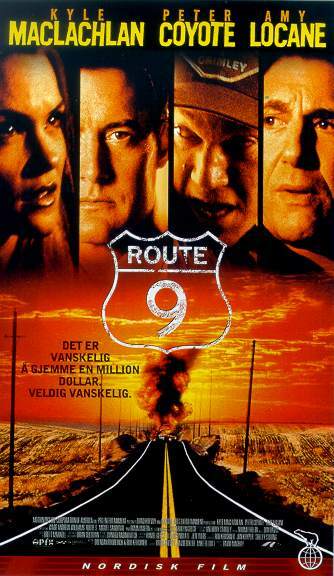 " Route 9 boasts a clever, twisting plot that rivals that of A Simple Plan . 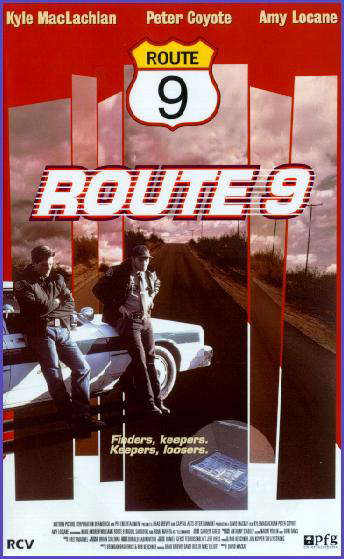 The film lacks noir atmosphere, but its story of two cops who stumble upon a cache of drug money is engrossing." Miguel Sandoval and Coyote teamed up once before in the 1983 film Timerider (aka The Adventures of Lyle Swann ).